You will enjoy touring the volcanic coastline of Kruzof Island on this 2.5 hour ocean raft adventure. This excursion is fast and fun with excellent wildlife viewing and amazing scenery great for photos and memories to take home and share. 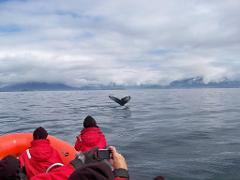 Humpback Whales, Sea Otters, Stellar Sea Lions, Tufted Puffins abound in Sitka Sound and a marine wildlife tour is the best way to see them. 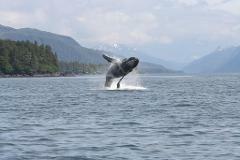 This excursion is your ticket to viewing some of Alaska's most majestic animals. 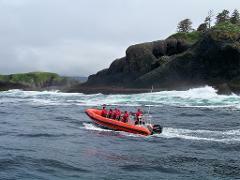 Raft along an incredible volcanic coastline and view marine wildlife including Whales, Sea Otters, and Puffins. Visit St Lazaria island and view incredible rock formations and sea caves. Then take a relaxing soak in a natural hot springs. 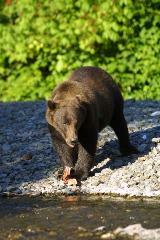 Bring your favorite binoculars and camera on this 2 hour cruise to hunt for Alaska Coastal Brown Bears and Sitka Black Tail Deer along the coastline of Alaskas inside passage. 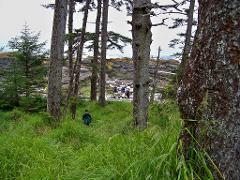 Enjoy a hike along a volcanic coastline with unique geological features. Along the way you can search for treasures washed in from the sea and explore fascinating natural tide pools and military ruins on this fun day trip. 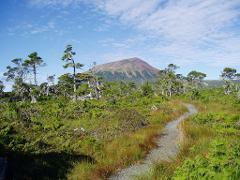 Enjoy a guided hike up Mt Edgecumbe volcano. This is a strenuous 14 mile hike round trip to the summit where you will enjoy panoramic views and unique geology. 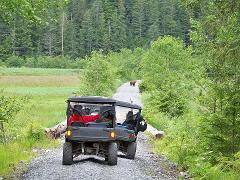 Treat yourself to an exclusive wildlife quest to enjoy amazing views of wildlife and scenery. After cruising a while set ashore with a guide for a specially prepared bonfire beach picnic. Delight in fresh seasonal locally sourced food. Travel by boat and camp on the beach. 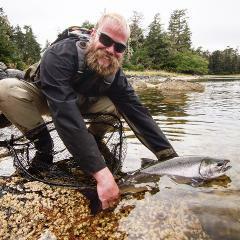 Explore remote rivers fly fishing, cook and tell stories around the campfire and soak in natural hot springs. 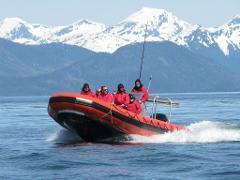 This 3 day 2 night trip to the West Chichagof Wilderness is the perfect Alaska adventure.